In this guide I’m going to show you how you can watch the Sweden v England World Cup Quarter Final abroad from anywhere in the world. Yes, England has made it to the Quarter Final’s of the World Cup, after an exciting penalty shootout in which we beat all odds and actually won, we now face Sweden in the next round. 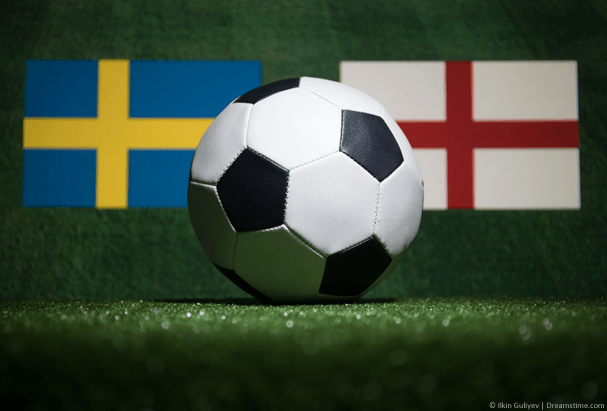 If you didn’t expect us to get this far and you’ve now inconveniently got a holiday at the same time as the Sweden v England match, you’re away on business, you’re an expat or you just love either England or Sweden but you’re outside the UK then finding a reliable place to watch the match can be difficult. Below I’m going to show you how by using an app called a VPN from ExpressVPN you can watch the entire Sweden v England Quarter Finals live online for free with English commentary from anywhere in the world. If you’ve searched high and low but can’t find a reliable place to watch Sweden v England then the best option is to use the BBC. BBC are showing the match live and at the same time they’ll be streaming it online on their service BBC iPlayer. If you’re in the UK you can simply head over to the iPlayer site but if you’re abroad outside the UK then you’ll be blocked from watching. The reason you’re blocked is clear, you’re not in the UK, but how can you avoid this block? The answer is a simple app called a VPN. A VPN is a legal privacy tool that lets you disguise your online location and make it appear like you’re somewhere else. They’re provided by hundreds of different companies but my favourite is ExpressVPN. Say for example you’re in America, a VPN app will let you look like you’re in the UK so you can watch the full Sweden v England match live on BBC iPlayer. Best of all, it works from anywhere in the world so it really doesn’t matter what country you’re in. If you search Google for ‘VPN’ you’ll be left with a headache-inducing selection of companies who offer VPN services. It’s important to note, not all work with BBC iPlayer. All you need to do is pick one of the three. I’m using ExpressVPN because they work on a greater range of devices but you can choose any. 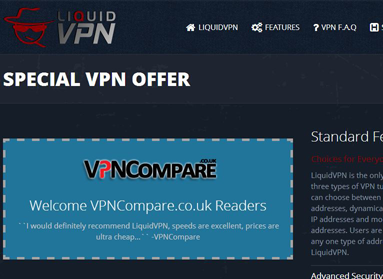 A VPN will cost you a couple of US Dollars which is a few pounds but you’ll also be able to watch all the other remaining World Cup matches and other sports such as Wimbledon and the Tour de France. 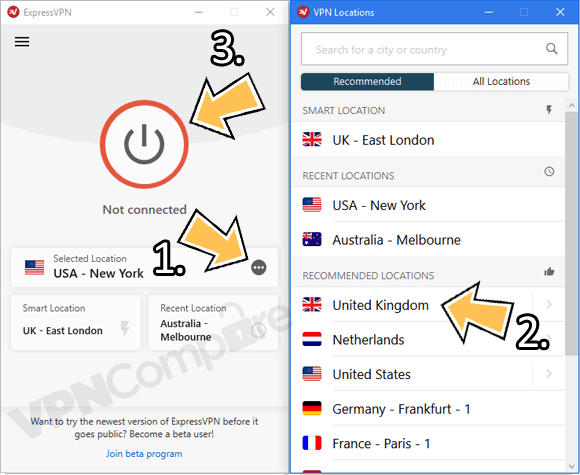 Follow my step-by-step guide below to get a VPN and to use it to watch the Sweden v England World Cup Quarter Final match. Visit the ExpressVPN website by clicking here and press Get ExpressVPN to sign up for their service. Once you’ve completed sign up go to the Products section of their website and download and install the app for your device. Press Choose Location and then United Kingdom. If it doesn’t automatically connect press the Connect button. Once the app has connected visit the BBC iPlayer website. The ExpressVPN app is easy to use. You can now watch the entire Sweden v England World Cup Quarter Final match live online. You can watch on your Windows PC, Mac, Android, Apple iPhone or iPad or even your Amazon Fire TV or Fire Stick. If you’re early enough and you have a fast enough internet connection then you’ll also be able to get the match in high-quality 4k. When you’ve finished the match simply disconnect. You can also reconnect to watch all the other coming matches including the remaining Quarter Final between Russia and Croatia and the Semi-Finals and Final. It all might sound a bit technical but really it isn’t. If you’re still unsure then take a look at my example video below where I used a VPN to watch one of the opening matches of this year’s World Cup. The Sweden v England game is taking place on Saturday, 7th July 2018. The match will be taking place in Samara, Russia at 6 pm local time which is 3 pm in the UK or 4 pm in Sweden. The match will be shown live online in high-quality on the BBC iPlayer service which you can tune into from 2:50 pm UK time to watch full coverage of the match. It’s the first time England have reached the quarter finals of a World Cup since 2002 after beating Colombia. While this is an achievement in itself it is also the first time England have won a penalty shootout at a major competition since 1996. Sweden is no stranger to knock-out either. This will be the first time they’ve reached the quarter finals of the World Cup since 1994. If we’re looking for a World Cup final place for Sweden you have to go back as far as 1958 where they lost against Brazil to finish runners-up. Both Sweden and England have something to prove and regardless of who wins, it will be an achievement for either team. With such a long gap since last progressing, both teams will be aiming to be on top form making it definitely a match you won’t want to miss. Jamie Vardy is set to miss the clash after the brutal match with Colombia where he sustained a groin injury. Kyle Walker and Ashley Young also have question marks over their appearance and are “being closely monitored” to ensure their fitness. Fan’s favourite Stones is set to feature in the starting eleven line-up against Sweden and after his performance against Colombia, he’s proven he’s a player that won’t be pushed around. England while riding high on their recent success will need to be wary of Sweden, having won only 2 of the last 15 meetings, the Swedes have a clear psychological advantage. Watching Sweden v England in the Quarter Final of the World Cup from anywhere in the world is actually really simple. To do this you’ll need to get a VPN app which are available for all types of devices. My recommended VPN provider is ExpressVPN which you can get below. Once you’ve signed up download their app and connect to the United Kingdom. You can then watch the entire match live and for free on BBC iPlayer. Where will you be watching Sweden v England from and who do you want to win? I would love to know, why not let me know in the comments section below.